An Oregon teenager’s innovation could change the way doctors treat pancreatic cancer, a deadly form of the disease that has just a 7% five-year survival rate. 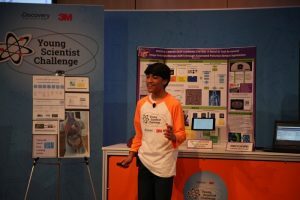 Rishab Jain, a 13-year-old from Stoller Middle School in Portland, on Tuesday won the Discovery Education 3M Young Scientist Challenge with an algorithm that uses machine learning to help doctors zero in on the pancreas during cancer treatment. Doing so can be difficult, since the pancreas is often obscured by other organs, and since breathing and other bodily processes can cause it to move around the abdominal area. As a result, doctors sometimes need to deploy radiation treatment with an “error circle” that ensures they’ll hit the pancreas, but that may kill some healthy cells as collateral damage. Jain’s algorithm could relieve some of those problems by helping doctors locate the pancreas with precision. 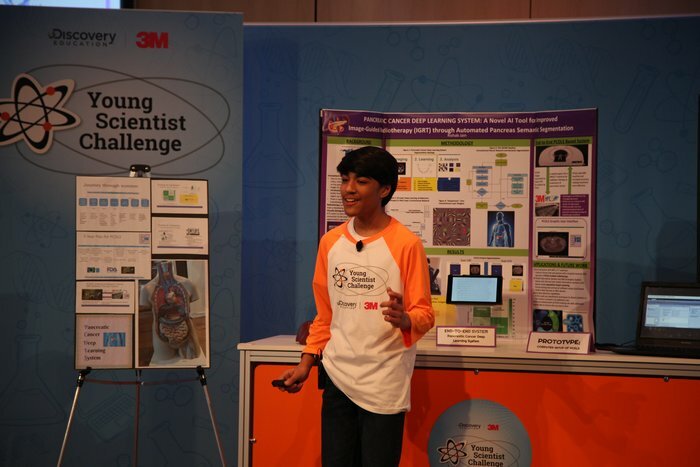 With help from 3M mentor scientist Dr. Döne Demirgöz, Jain’s work paid off this week at the competition in Minnesota. He says his software could work with hospitals’ existing radiotherapy equipment, or be incorporated directly into new machines. He’s currently in touch with doctors at both local Oregon and big-name national hospitals — including Johns Hopkins Hospital and Memorial Sloan Kettering Cancer Center — in hopes of fine-tuning and eventually implementing his idea. For now, he says he’ll use his winnings to advance his machine learning project and fund the nonprofit he created, Samyak Science Society, which is meant to promote STEM learning for “other children who might not have that opportunity like I did,” and raise pancreatic cancer awareness. He says he’ll also put some of the money toward a college fund, so he can study to become either a biomedical engineer or a doctor. Of course, the middle schooler has some time to figure it out — and in the meantime, he’s got plenty of ways to fill his time.